Happy Tuesday beauties! My posts may appear a bit sporadic over the next couple of weeks as I have a lot going on. With that I mind I wanted to share 7 things to do everyday to look after yourself. 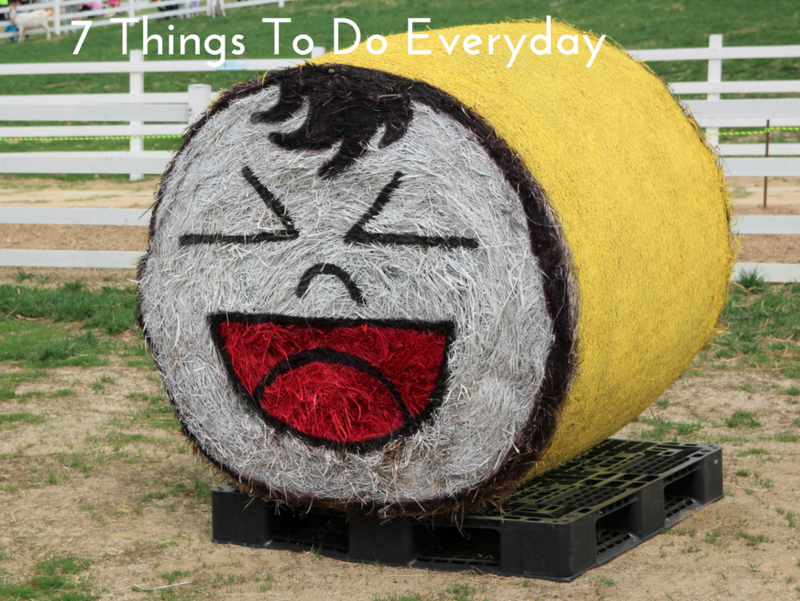 Now, these aren’t major things to do everyday, but just little things that can help you feel good. I’ve been in places in my life where I woke up feeling grumpy and it did nothing for me or my day! So, I decided to start thinking of 5 things I was grateful for each day. At first, it was the usual food, clothing and shelter thing which felt fake but, after time it soon changed. Suddenly I was grateful for being able to book that spontaneous trip. Or that I got a text message from friends who just wanted to say hello. It’s the little things. No, I don’t think that you go out into the world being unkind but, what about yourself? Are you kind to you? Are you telling yourself things that you would never dream of saying to anyone? We have this record playing in the back of our minds and it gets to the point where we no longer hear what it’s saying. But our unconscious is hearing it daily and it affects us. So stop being mean to yourself and say a kind word or several each day. Take a break from the computer, tv, phone, social media and everything else with a screen. We get so tied down to technology that we miss the valuable human connection. Laughter really is the best medicine and if you open your eyes, there’s something to tickle your funny bone. If you don’t observe something, have conversations with people and something will make you laugh. Or, you can read a book! My final tip is basically to make your main meal a healthy one. If you don’t look after your body, where will you live? So load up on vegetables and all the good stuff that will treat your insides kindly. What type of diet you choose is your choice, just make sure it works for you and your body. Those are my 7 things to do everyday which are really simple and easy to implement. Life is too short to live a miserable existence. What are you 7 things to do everyday? Let me know in the comments below. I will be making a few changes to my newsletter over the coming weeks, so be sure to sign up to be in the loop!